Going through the loan modification process can help you save your home from foreclosure. It allows you to work with the lender to change the original terms of your loan. Most loan modifications involve lowering your interest rate in order to lower your monthly payment. That way, if you were having trouble making your payment before, the lower amount might fit into your budget better and help you maintain ownership of your property. In some cases, a loan modification might even forgive part of your debt. It’s often in your best interests to have an experienced real estate lawyer walk through the loan modification process with you. They can negotiate on your behalf and help you achieve the best possible outcome. The process to change the terms of your home loan aren’t always straightforward, either, so having someone there who has been through the process before and who can answer your questions can be extremely helpful. If you choose to go through the loan modification process, here are some of the steps that you can expect. If you are concerned about making your house payments, then it’s worth talking to your lender as soon as possible. It’s often the case that the sooner you approach them, the better your chances are of reaching a favorable deal. You can ask them if they are currently offering any loan modification programs for homeowners in distress and what the process is to participate in the program. They can provide you with the information. Even if they aren’t offering a special program, your real estate lawyer can approach them and see if such negotiations are possible. You’ll need to get real about your budget. 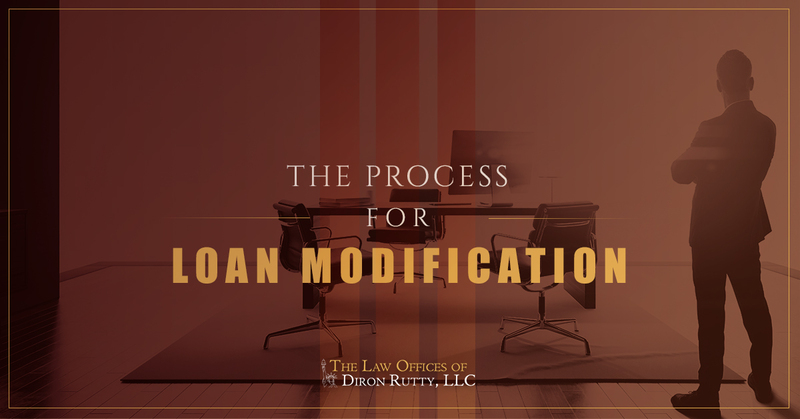 Your lender is going to ask for a lot of financial information in order to determine what kind of modification they are willing to make. It’s important to be truthful here; go over everything with your lawyer to determine what you need to disclose and how to do so. Often, applying for a loan modification becomes a wake up call for homeowners that they need to make some major changes to their lifestyle in order to hold onto their home. You might want to connect with a financial counselor who can help you establish a budget and find ways to cut down on your spending so you don’t need loan modification services again in the future. Your lawyer can help walk you through the application process, ensuring you have all of the necessary paperwork for the application. They can submit it to the lender on your behalf and make sure you have an application that will be viewed favorably by the lender. There will be a lot of paperwork involved, and the ldner is going to ask for a lot of proof that the modification is necessary in the first place. Be prepared to submit financial records and other proof of your financial hardships. In many cases, the lender is going to make an offer that is in their best interest, not yours. They might try to pressure you into paying for fees that could be dropped or neglect to give you the best interest rate possible. You can negotiate, but it’s a good idea to have legal counsel who can do this on your behalf. Experienced real estate lawyers will know what’s possible when it comes to negotiating the loan and what terms offer flexibility. They’ll negotiate with your best interests in mind and get the best deal possible. Once you’ve agreed on new loan terms with your lender, you’ll sign a new contract. It’s important that your lawyer review the paperwork before you sign it to ensure that all the terms you agreed on with the lender are included and there are no unexpected surprises in the paperwork. Once the paperwork is finalized, you’ll have new payment amounts and potentially a new payment date, so make sure you know how much is due, when it’s due, and where it should be sent. Going through a loan modification on your own can be intimidating. After all, the lender has a lot more experience negotiating these deal than you do. The future of your home might be at stake, too, meaning the stakes are high. It’s hard to stay focused and reasonable in these cases, but with a real estate lawyer, you can trust that your interests are being represented and the lender can’t take advantage of your difficult situation. The Law Offices of Diron Rutty, LCC can help. As a real estate lawyer in New York, our team has years of experience negotiating tough loan modification deals and helping our clients get the best deal possible. If you are worried that you could be facing a foreclosure on your home soon, it’s time to discuss your options. Contact our office for a free consultation by giving us a call or contacting us through our website today.